The Pine Ridge Indian Reservation, located in Shannon and Jackson counties of South Dakota, is one of the poorest regions in the United States. It is also the site of some of the bloodiest events in the 19th-century war between the Native people and United States government. There is isn’t any train, bus, theater, clothing store, drug store, barber shop, restaurant, place to get a car fixed or home delivery of mail. Much of the hardship stems from having few places for the roughly 21,000 residents to spend the estimated $150 million a year from the government. On the Pine Ridge Reservation, homelessness is at 30% and unemployment at 80%. 60% of its residents live in substandard housing, and the reservation, which is half the size of the state of Connecticut, doesn’t have a single bank “The housing shortage on the Pine Ridge Indian Reservation is so severe that only 16 people living in a four-bedroom house is considered lucky. 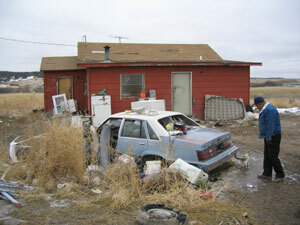 Next door there are 23 people in a three-bedroom house” (Rapid City Journal). In the 1876 Treaty following the war between the United States and the Sioux, the United States government promised “a comfortable house”. 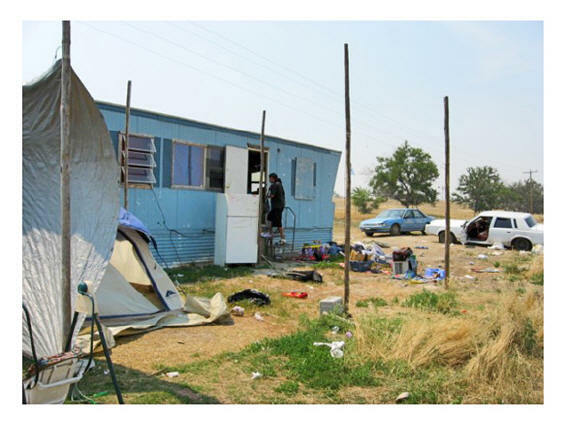 Despite these promises, hundreds of people on the Pine Ridge Reservation are homeless and thousands live in a crowded or substandard housing. The American Indian Relief Council estimates that 44% of Sioux households lack complete kitchens and 55% do not have a telephone (itvs.org). Only 23% of Sioux children graduate from high school, and among that group, only 17% go on to college. Homelessness, poverty, and learning disabilities contribute to the dropout rate, as does the lack of reading and writing experience. Lack of transportation keeps truancy rates high, and lack of electricity in many homes prohibits students from doing schoolwork after dark. Most reservation classrooms are in a deplorable state: many without heat in the winter or air-conditioning in the summer, when outside temperatures can exceed 100 degrees. It is our mission at NARA to hlep the people of Pine Ridge. You can visit our website to help donate backbacks for the children. Many are so poor, the parents can bearly afford food, so shcool supplies are a luxury. 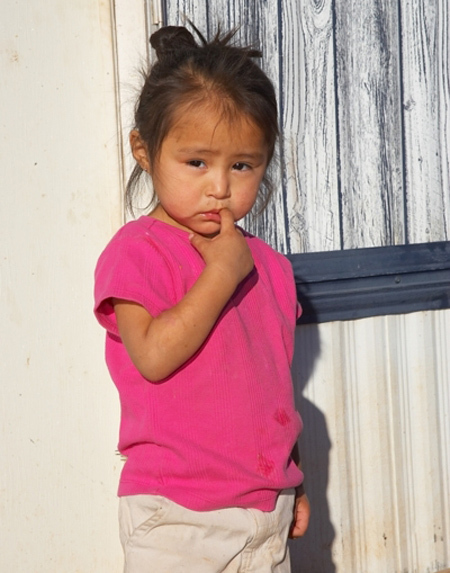 You may also doante to the Pine Ridge Fund to help with clothes, heat and food.